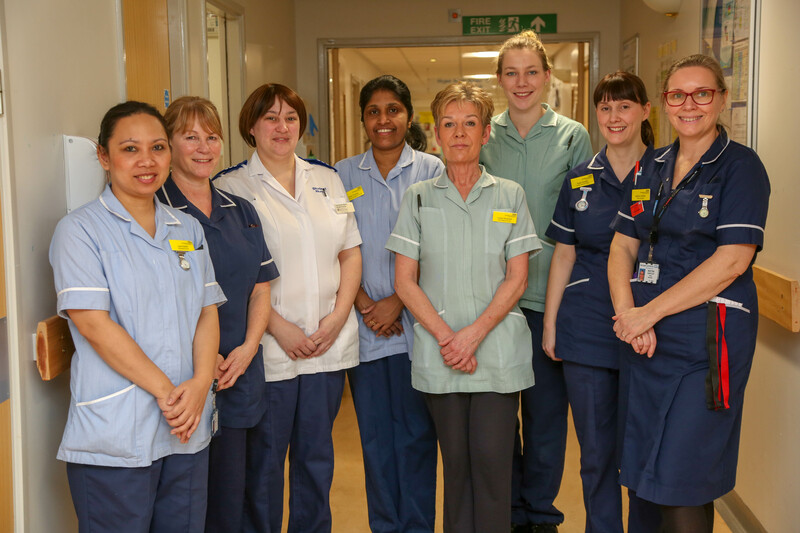 Registered and student nurses can walk away with a conditional job on the very same day at a Harrogate and District NHS Foundation Trust recruitment event in April. The event is on Tuesday 2 April 2019 at Harrogate District Hospital and will showcase a range of exciting opportunities in the Trust’s adult inpatient wards, including medical, surgical and later in life wards. It follows the success of an event for nurses and operating department practitioners in February, where conditional job offers were given to three registered nurses, 10 student nurses and four student operating department practitioners on the day. Registered and student nurses, employed or looking to return to practice or seeking their first job in the NHS are welcome to attend. It is an opportunity for people to see why Harrogate and District NHS Foundation Trust should be their number-one choice for a career. The recruitment evening will provide the opportunity to meet the senior nursing team, as well as a chance to hear about the Trust’s new two-year preceptorship course. Also featured will be interviews for prospective nurses – offering them the chance to walk away with a conditional offer of employment. Those who would to book an interview on the evening of the event are asked to apply in advance via NHS Jobs. Visit https://bit.ly/2Y9y3ZV to apply online. Angela Wilkinson, Director of Workforce and Organisational Development at the Trust, said: “Prospective registered and student nurses will be warmly welcomed at our recruitment event in April, giving them the opportunity to see why Harrogate and District NHS Foundation Trust should be their number one choice for a nursing career. “Attendees can find out more about nursing roles with the Trust, including the various specialties we have on our adult inpatient wards, and there is even an opportunity to come away with a conditional offer of employment on the day of the event. The Trust’s Recruitment Event, takes place on Tuesday 2 April, between 5-7pm at the Trust’s Education Centre, Third Floor, Strayside Wing, Harrogate District Hospital. To find out more about the Recruitment Open Event or ask a question, email careers@hdft.nhs.uk.